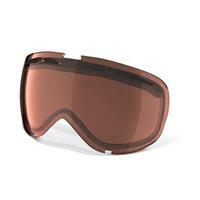 Your goggles serve as a vital accessory when riding down the slopes. Good lenses will keep your eyes shielded from glare, improve your clarity of vision, loose powder and wind while increasing your safety and making your rides much more enjoyable — and it doesn't hurt to look a little awesome, too. Whether you have to replace a breakage, desire a different look, or need a specific lens type to handle varying weather conditions, Buckman's Ski Shops will provide you with the products that you require. We carry elite skiing and snowboarding equipment throughout Pennsylvania and beyond, and we'll happily supply you with ski goggle replacement lenses. We offer several replacement lenses due to our expansive inventory, meeting your need for various sizes, colors, lenses, tints and more. Select between many spherical or cylindrical lenses, as both offer their sets of unique advantages that will appeal to different people. Several tint options give you the chance to adapt your goggles for riding in different conditions, and they also allow you to express your distinct character and style. We are all far from one-size-fits-all. From small to medium to oversized, you'll find what you're looking for both comfort and coverage. Your first consideration for goggle replacement lenses will be how they match your current set of frames. Remember that cylindrical lenses curve horizontally but remain flat vertically, and spherical lenses arc both horizontally and vertically. Once you're sure of the curvature, you can then confirm the precise size to ensure there is no slippage or an improper fit. The most pointed decision will likely revolve around the color or tint. If you want the extra set for pure aesthetic purposes, go nuts! However, you'll want to consider the characteristics of various tints when looking to adapt your goggles for different scenarios. If you want to combat super-sunny days with a lot of glare, opt for a copper or black visor that filters out a lot of ultraviolet light. Several colors work well in everyday conditions, most notably yellow and rose. Blue lenses are versatile, as they're often paired with other colors to balance out their strengths and weaknesses. Violet lenses help to contrast greens and blues while allowing for a reasonably clear perception of natural color. They're excellent for low-to-moderate light conditions, and they enhance details like bumps and bare spots. 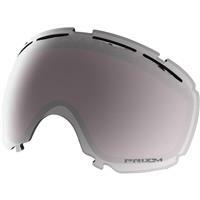 Of course, we also have clear Oakley ski goggle replacement lenses for people who want to go skiing or snowboarding in low-light settings — usually night time. We welcome you to visit one of our seven shops in Pennsylvania to gain a better sense for what we can do for you. If you prefer shopping online, our customer service team will do what they can to help you along. Feel free to ask questions and look for any level of advice. When shopping with us, take advantage of our price-match guarantee and free shipping on most orders over $50. 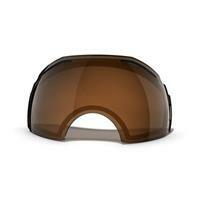 To learn more, contact us today to inquire about ski goggle replacement lenses!